effectively and operate in a successful Non-Profit Payment Facilitator model. Designed with the needs of your not-for-profit clients in mind, ProFac Express℠ by ProPay® enables service platforms, association management providers and fundraising systems the ability to integrate payment processing securely and quickly through our robust set of payment processing APIs. 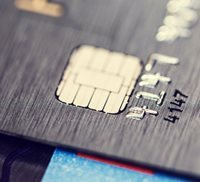 Much more than a simple payment gateway, ProFac Express provides all the standard payment processing you’d expect, along with instant onboarding of sub-merchants, tokenization for recurring billing and an understanding of the unique requirements of a 501(c)(3) organization. API Integration, mobile application and card reader (audio jack and USB connection) with white label option, virtual terminal, text/email invoice, etc. API Integration, mobile payment options, virtual ter­minal, text/email invoice, etc. For more information about our solutions for Non-Profits, call 888.227.9856, email sales@propay.com. Click Contact Us.